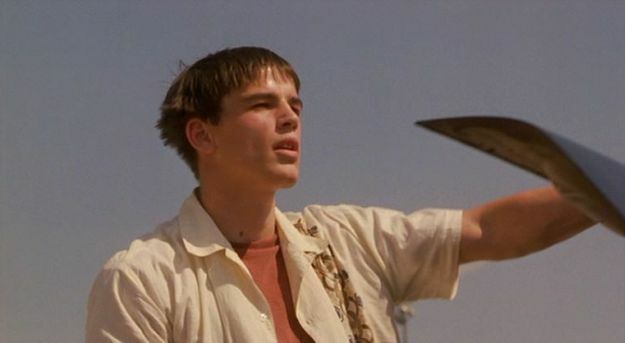 …and Josh Hartnett’s ridiculous hair. This is a fun film, so much better than I expected after the critical evisceration it endured on release in 1998. There is a lot of fun with foreshadowing, such as Professor Furlong’s snarky comment when the pretty nurse won’t pay attention to him, Delilah’s bitchy “When did you become Sigourney Weaver?” to Casey, and the coach’s anger at the sprinkler system coming on during practice at the beginning of the film. 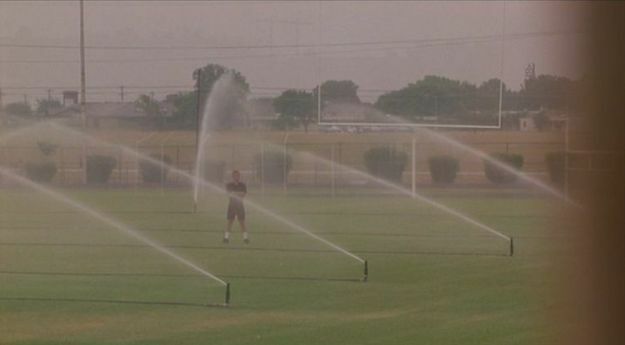 Later on, the coach seems to have completely changed his mind about the sprinklers. One of the most charming things about this movie is that the adults as both characters and the actors who play them seemed to have had a blast making the film. While the students are serious about the threat that has visited their town, offering theories and developing chemical concoctions to save the world, the adults are gleefully terrorizing whomever they wish. There is a fair bit of conflict about the film’s purpose, as it on one hand seems designed to mimic B-grade horror and scifi films of previous decades, but on the other hand not only entered into a highly-publicized deal to promote Tommy Hilfiger clothing with the film but features a cast of several highly recognizable A-list stars. The Faculty contains a variety of references to classics such as Alien, Buffy the Vampire Slayer, Invasion of the Body Snatchers and “The X-Files,” and it also is an undeniable descendant of dark teen comedies such as Heathers. 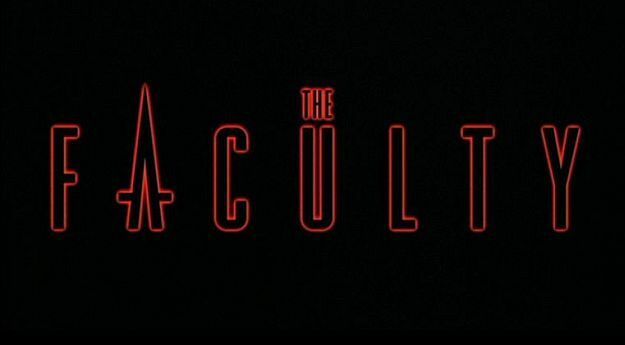 As an example of the self-conscious, self-referential horror films that sprouted up after Scream two years prior, critics were quick to label Faculty‘s deliberate homage as outright creative theft or, as with one Salon reviewer, express a frank disbelief in the existence of this particular horror subgenre altogether. Some indicated they were already tired of the postmodern horror flick; I hesitate to inquire as to how they survived the following decade. I love this movie. I haven’t seen it in a long time, I really want a good copy of this movie before revisiting it. I like this film, too and rank it up there with PHANTOMS as an enjoyable B-horror film. While certainly not among Rodriguez’s best work it is a fun romp. I totally agree with your observation about the adult actors having a blast playing malevolent characters vs. the young actors playing it straight/serious. This film certainly wears its influences on its sleeve but that’s fine by me. Rodriguez has never been shy about acknowledging those films/filmmmakers that inspired him. This movie just plain fun! 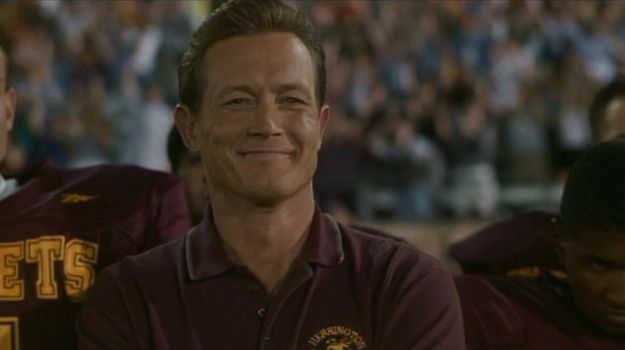 Robert Patrick is so great in this. I can see why casual horror fans of the ’90s (those who became initiated with the likes of SCREAM and I KNOW WHAT YOU DID LAST SUMMER) don’t like the movie — it’s incredibly cheesy for a film that came out during that era when horror films were gaining steam — but for horror buffs it’s a fun reminder of those b-level horror films from the ’50s. Also, come on, Jon Stewart has a cameo and turns into an alien! I may just watch this tonight. Oh, and yes, what WAS up with Hartnet’s haircut?!? I’ve never been interested in The Faculty, but I’m quite excited for it now. Looks fun!